We're still not over these performances. Another year, another excuse to play hookie and fly to California for the one and only Coachella Valley Music and Arts Festival. 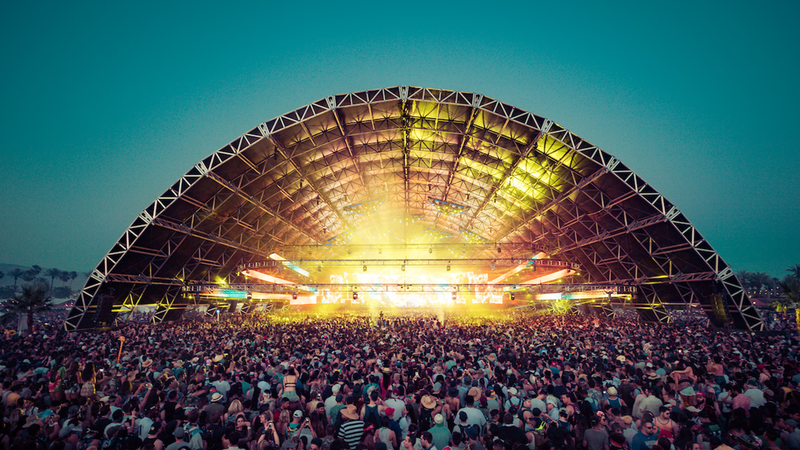 Returning for the 18th time to Indio's Empire Polo Club, the world-class destination festival gave attendees the chance to catch over 145 acts under the California sun, including performances from headliners Lady Gaga, Kendrick Lamar, and Radiohead. I was lucky enough to frolic around the desert for the festivities on April 21-23, and while the main acts blew fans away ("Humble", anyone? ), there were five non-headliners who absolutely crushed their sets this year. 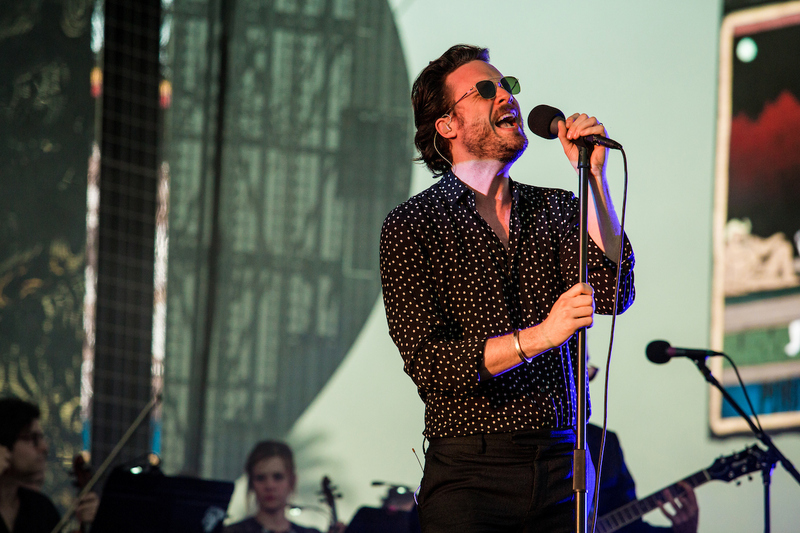 From Father John Misty to Tove Lo, check out the acts that stole our hearts below! This set could have converted anyone into a devoted Father John Misty fan. At a festival, it’s important to approach music with an open heart and be ready to take in all of its beauty, and with FJM, it was easy to be won over. Supported by a horns and string section, Josh Tillman made the stage his own, and had no problems proving why he belonged on the main stage. As the sun began to set, it became obvious that the existential dread that the "Ballad of the Dying Man" sings so frequently about was more than welcomed by the 20 and 30-year-olds in the crowd. 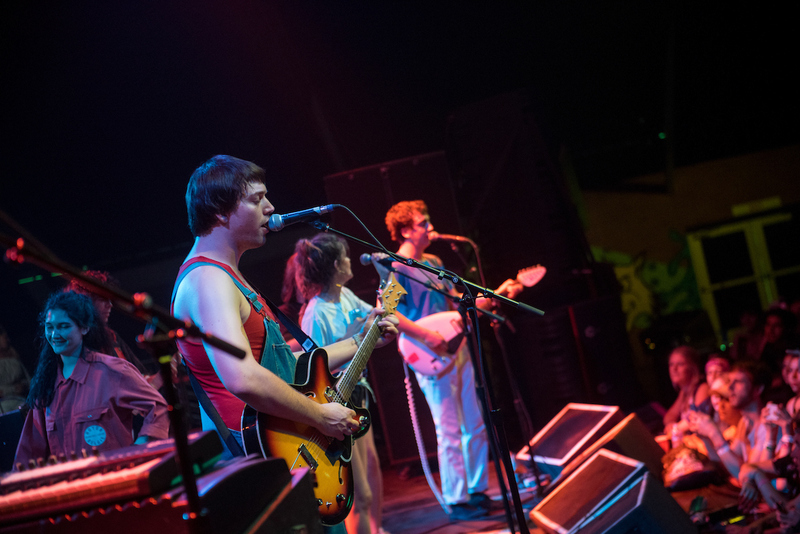 The majority of the songs performed during the multi-instrumentalist’s set were tracks off his most recent album, Pure Comedy, which debuted earlier last month. Check out a FJM show and try not to get emotional, I dare you. To be honest, I came to this stage because I found out the Sonora tent had air-conditioning, but Chicago’s Twin Peaks caught my attention immediately and ended up being one of the best discoveries of the weekend. The band’s sound is reminiscent of The Rolling Stones mixed with The Clash, but somehow maintains a power-pop vibe. It was refreshing to see a true rock'n'roll band play a set so passionately in 2017. The ladies of Hinds even joined the boys for a song in the middle of their set—I didn't realize until later that both bands were on a co-headlining tour together that would end the next day in San Diego. Our advice? Definitely keep an eye on this group, and buy your ticket ASAP to their upcoming tour with Chrome Pony and Post Animal. If you thought for a moment that Tove Lo’s set wouldn’t be packed, (because Hans Zimmer and Lorde were playing at the same time), think again. Performing on the packed Mojave stage, the "Influence" singer dished out all the hits. From her 2014 hit, “Talking Body”, to her current single, “Cool Girl”, fans couldn’t get enough of the Swedish natives hard-hitting performance. You can expect more fun appearances from her at Gov Ball, Bonnaroo, and even a spot opening on a few Coldplay shows. 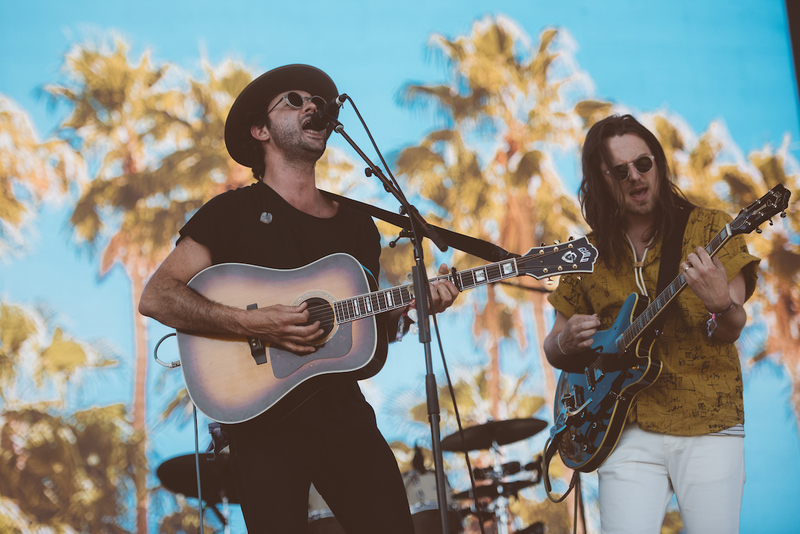 With the all of the unavoidable ringing going on in festival goers’ ears, TThe Head And The Heart were a much welcomed break from the madness brought on by Saturday's lineup. Even with the sun beating down, the 100+ degree weather didn’t stop fans from gathering around the main stage to belt out the “ooooh ooohs” found in the band’s 2010 single “Lost In My Mind”. For the brief four-minute-and-nineteen-second duration of that song, it seemed like a renewed sense of life swept through the crowd. If you want to experience this magic for yourself, be sure to catch them on their US tour happening right now. 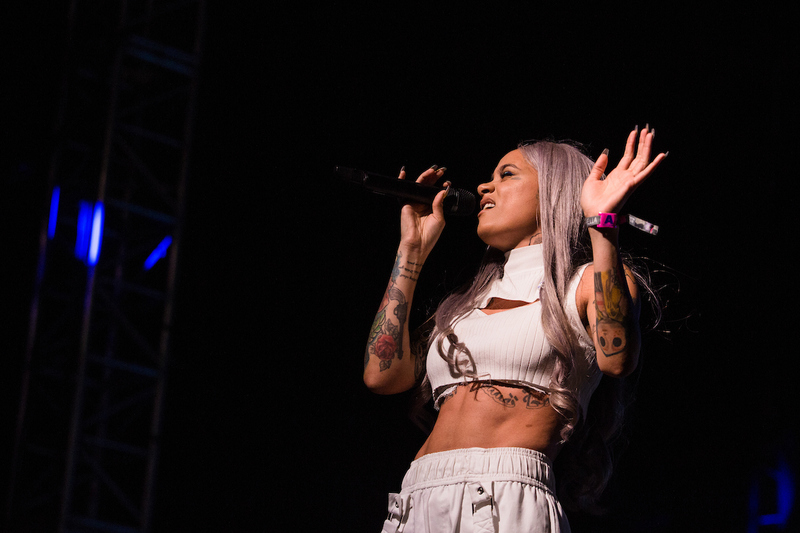 We walked away from Kehlani’s set wanting to be her best friend, mostly because there was no one more badass at Coachella than her. With her 22nd birthday happening the next day, the singer-songwriter’s set was extra special to her. It's crazy to think that merely a few years ago, she was homeless on the rough streets of her native Oakland, and now, the Grammy-nominated musician is playing to a packed crowd on the Mojave stage. Attendees were fired-up as she belted out hits like “Gangsta”, “Good Life”, and “The Way”. The best part of the set, though? When the crowd burst into an impromptu “Happy Birthday” in honor of the rising star, who could be seen on the Jumbotrons beaming from ear-to-ear.